IBM's Ann Rubin remembers working with the Star Wars' actress on an ad campaign for the Watson super-computer in 2016. 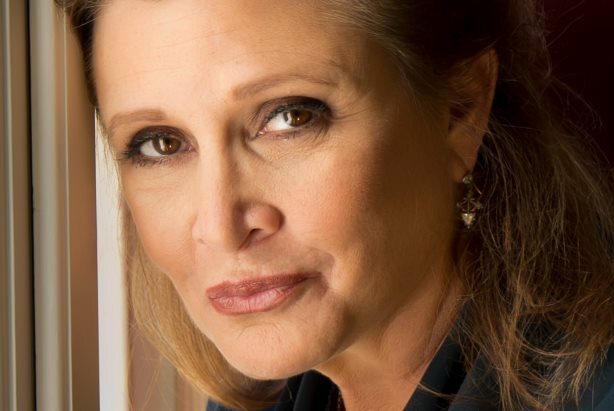 ARMONK, NEW YORK: The world mourned Carrie Fisher’s passing by celebrating her contributions to Hollywood and the public's understanding of mental illness and addiction. But everyone who worked with Fisher, from the cast of Star Wars to the team at IBM, remembers her most for her courage, brilliance, and humor. "She had the entire room, location, production team, clients, and agency people in stitches," said Ann Rubin, IBM’s VP of branded content and global creative. "She was a naturally funny person, which was something I didn’t realize." In 2016, IBM rolled out an ad campaign to promote Watson, featuring Fisher and Ridley Scott. In her segment, Fisher stars as a therapist who leads a support group for disaffected robots learning to cope with humans. The shoot took place over the course of one day. "She was joking about Watson and other robots, poking fun at their personalities," Rubin said. "She was super happy to take pictures, mugging for the camera, hanging out with the crowd." Released during the Oscars, the ad was designed to endear Watson to humans wary of AI, "making it clear what Watson is and can achieve," Rubin said. Casting Fisher was IBM ad agency Ogilvy & Mather’s idea. Fisher quickly started riffing on the script’s premise. The line, "I can hear you hurting," was Fisher’s brainchild and one of the crew’s favorites. "It was like she was doing a one-woman show," Rubin said. Indeed, Fisher debuted a one-woman show in 2009 called "Wishful Drinking," where nothing in the actress’ past was off limits. Those freewheeling improvisations delighted fans for years. But for that single day on the IBM shoot, Fisher turned those talents to a more intimate audience and animated the set with her energy. "We’ve worked with other celebrities who are friendly and happy to hang out, but this was different," added Rubin. "She was special and fun and wanted to be part of the crowd. I guess it’s the entertainer in her." When news broke Monday that Fisher suffered a heart attack, Rubin assumed the best. She said she didn’t think it would lead to her death. "My head didn’t go there," she said. "And when I heard, I felt sad, horrible. She was still young, such an icon. She’s done so much for so many causes. She means so much to so many people." Fisher died Tuesday at the age of 60, after suffering a heart attack on a plane last week. Her mother, Singin' in the Rain actress Debbie Reynolds died from a stroke just a day after her daughter, at the age of 84. Fisher is survived by her brother, daughter, and half-sisters.